With these characteristics, Kang Daniel is the member who will achieve outstanding success in the future. On December 31, 2018, WANNA ONE disbanded and formally said goodbye to fans. From that moment, the future of the group and the activities of each WANNA ONE member after disbanding has been attracting fans and the public’s attention. On December 31, WANNA ONE officially disbanded. All of the boys will follow their own plans, some will debut with a new group, some choose to become soloists and the others will work as actors. But it seems that among 11 members, Kang Daniel is the one who has the most glittering career in the future. Let’s find out the reasons with us! Since he was a trainee in Produce 101, Kang Daniel has proved that he is a multi-talented idol. Although he debuted with WANNA ONE as a rapper and dancer, he made fans surprised with his sweet voice. … including the group’s dance and rap parts. Good vocal, outstanding dance skills, unique rap style are impressive factors which prove that nothing can stop Kang Daniel from becoming a successful solo singer in the future! One of the reasons why Kang Daniel has a lot of fans is his attractive appearance. During the time he joined Produce 101, Daniel didn’t really get too much attention. A handsome face that suits Korean fans’ standards. But when he succeeded in losing weight, he made many viewers surprised with his impressive appearance. Not only having a handsome face, the “national center” has shocked fans with a perfect body ratio with his 1m80 height and long legs for many times. A body with perfect leg ratio of 1:2. Since he ranked first in Produce 101 with a huge number of votes, Kang Daniel has shown that he has an impressive fan base. After becoming a member of WANNA ONE, he also owned a large and extremely loyal fan base. Thanks to his charisma, more and more people are joining Kang Daniel’s fandom. The number of fans in Kang Daniel’s fandom keeps increasing because of “Kang Daniel’s phenomenon”, “Kang Daniel effect”. Not just fans that are at the age of 10s, 20s, even fans at the age of U30, U40 cannot resist the phenomenon of Kang Daniel. Recently, Daniel’s Instagram account also set a record of reaching 1 million followers in the shortest time in the world which means he must have a large fan base. There are always a large number of fans following his activities in the future, which keeps him popular. Coming out of the survival contest Produce 101, the Busan boy, since he was a trainee in the program, has received the attention of the audience. With a massive vote of up to 1,578,837 votes in 3 hours of the finale, Kang Daniel reached first place with a record number of votes. After debuting with WANNA ONE, his popularity reached the peak when he became an influential figure not only in Korea but also across Asia. He even had a series of advertising contracts with his group, with his unimaginable influence, he was also the ambassador of 5 different brands. All of the products that associated with Kang Daniel were quickly sold out. 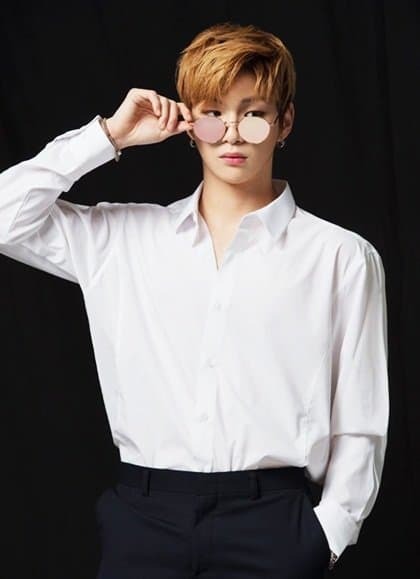 Any product that Kang Daniel wore, ate or used were constantly out of stock, creating the “Kang Daniel effect”. With an incredible level of influence on the public, no wonder why in the future, he is still sure to be a massively popular name in the advertising industry. With incredible influence, Kang Daniel can still succeed although he no longer works in WANNA ONE. It can be said, this is something that none of the other 10 members of WANNA ONE can do. Therefore, it is not exaggerated to say that Kang Daniel’s career in the future will go far beyond that of other members. With these outstanding features, many people believe that Kang Daniel will be extremely successful when having entertainment activities in the future. What do you think about it? Please do not hesitate to comment and share your opinions with us!